This entry was posted on August 15, 2014 by Marco Rivera. If you recall, Part 1 & Part 2 discussed both our future plans to scale and our underwriting process. In our final part of this 3-part series, we're switching gears to discuss what happens in the event of a borrower defaulting on their loan. 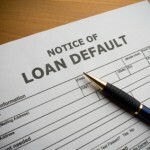 It’s not a matter of “if”, but “when” … a borrower will default. What will you do when a borrower cannot pay back the loan? All investments made through Patch of Land have an inherent amount of risk; investors may lose their entire investment. Though all our loans are current and performing, we know it is not a matter of “if” but “when” a borrower defaults, which results in the important question of “how” that scenario is handled. We always want to work with borrowers to understand why the project is in trouble and to craft possible solutions. Further, we have contingency plans for loss mitigation in each market depending on the state foreclosure laws. Most importantly the value of the house will determine the appropriate action. The solution for a low value asset might be working with the borrower to increase the asset’s value and/or sell quickly if prices are dropping. Alternatively, we may foreclose if a workout cannot be found. For a high value asset, we are in a better position to recoup capital and could request an immediate sale or foreclosure. If the value of the property has dropped below the loan amount, and the borrower doesn’t want to lose more, we could ask to list the property immediately, use the personal guarantee as recourse or negotiate a workout on the loan. In each of the above scenarios, we want to impress that we would work with the borrower to avoid foreclosure first- but if it came to it, we would work with a local foreclosure resolution/collection company. Our third party loan servicer, which is one of the industry’s largest and most respected nationwide servicers, would also handle the situation should it arise. The fees would come out of the recovered capital on the property, which is a relatively small percentage. The impact that a default scenario would have on our investors would depend on the state and individual project. These are business use loans to small business entities, which avoid the pitfalls and complications of a conventional residential mortgage. While perhaps safer than unsecured loans, investors must acknowledge the inherent risk of delayed repayment via foreclosure or loss of some or all of the principal investment. We at Patch of Land will work to protect our investors by providing top-notch customer service and answering any concerns or questions our investors have. We hope you've enjoyed this Growing with Patch of Land 3-part series. With any luck, it has empowered you with more knowledge of the real estate crowdfunding marketplace. As we continue to grow, we look forward to answering more of your FAQs in the future. Did you enjoy reading this article? Still have questions? We want to hear what you think, so please leave your comments and questions below! This entry was posted in Q&A From the Patch and tagged default scenarios, 3 part series, growing with patch of land on August 15, 2014 by Marco Rivera. In the event of a foreclosure or workout situation does Patch of Land charge any fees in addition to third party fees? To answer your question - Yes, but the type of charge would depend on the exact issues. We do have late fees, default interest, and extension points, if applicable.